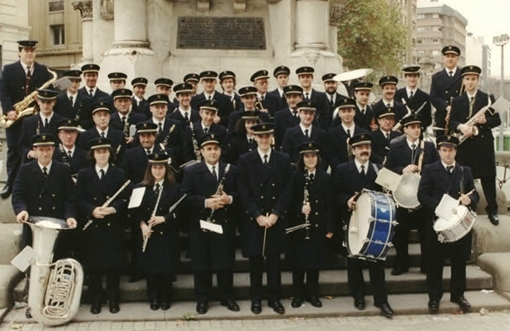 Before forming the Band of Music "La Pamplona" there were three military bands in Pamplona. Music of the Almansa Regiment nº18, Musician of the Regiment of America nº14 and Music of the Constitución Regiment nº29. 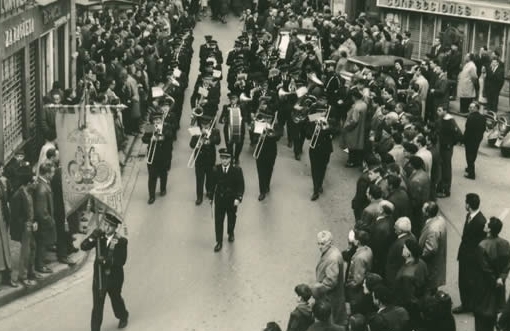 The three bands participated in the various musical activities and were responsible for putting music to the San Fermín festivities. Silvanio Cervantes, who belonged to the Regiment of America No. 14, formed a Band composed of some twenty-five young people between fourteen and fifteen years who were called the Music Band of the Explorers. However, the band disappeared around 1917 because the citizens of Pamplona did not want a band ruled by the military. Pamplona wanted a civilian band. In 1919 D. Silvanio Cervantes, D. Manuel Zugarrondo and D. Vicente Sádaba exposed to the City Council the idea of ​​creating a formation with the musicians of the disappeared "The Explorers" along with other musicians of the city. The City Council accepted the idea and gave a classroom of the Academy of Music in the Plaza del Vínculo. However soon problems would arise since some of the professors of that academy aspired to the direction of the band. Faced with the impossibility of getting it, the band refused to use the premises. The musicians (instruments included) attended the Paseo de Sarasate as a sign of protest until they were assigned a new location in the basement of the old Company schools. On September 24, 1919, the first meeting was formed by Mr. Vicente Sádaba as interim president, Mr. Manuel Zagarrondo as vice president and Mr. Silvanio Cervantes as director. It was decided to call the band Pamplona Music Band "La Pamplonesa" which was formed by 37 musicians. The first performance occurred on October 11th. The band toured Pamplona with a paso doble and a jack. Once constituted "La Pamplonesa" a public collection was made since it had a debt of 7,000 pesetas of instruments, accessories, etc. Some 500 pesetas were collected, which together with the weekly fee of 1.25 pesetas that was imposed on each partner, shaped the initial economic life of the band. It was at the beginning of 1920 when the City Council granted an annual subsidy of 1000 pesetas that would be increased later. At the same time, the band received another 1000 pesetas for the contracts of the fiestas of San Fermín. Other subsidies from various protective partners and the Basque studies parties helped to alleviate the economic situation. 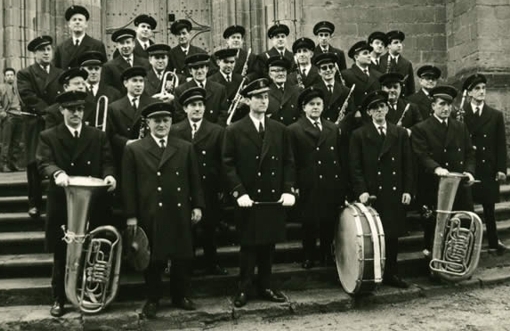 The musicians would not receive the first "salaries" until two or three years after the creation of the band. The "third" musicians charged two reales a day, the "second" three and the "first" five. 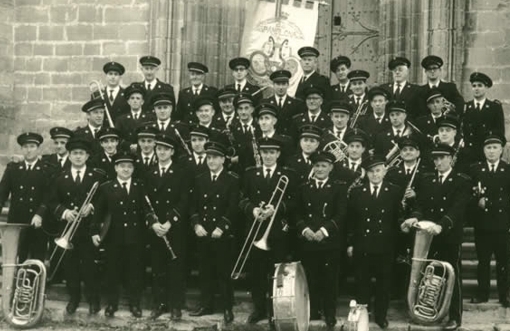 Months after being born "La Pamplonesa" the City Council hired the band for the "Sanfermines" of 1920. It participated in all the events organized in the street; the rocket, the Riau Riau, the targets, the procession ... even some concerts were offered in the grove of La Taconera. The act early riser and demanding without a doubt for the band the targets that began at 5 in the morning since the confinement was at 6.